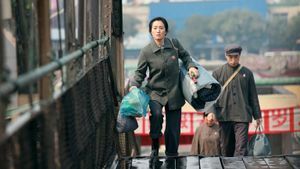 Lu and Feng are a devoted couple forced to separate when Lu is arrested and sent to a labor camp as a political prisoner during the Cultural Revolution. 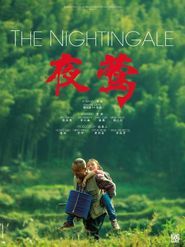 After the end of the Revolution he is rehabilitated and sent home, only to find that his beloved wife no longer remembers him. 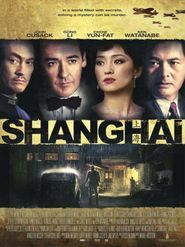 "Zhang and his sterling actors have made something fairly unforgettable about the tragedy of forgetting." 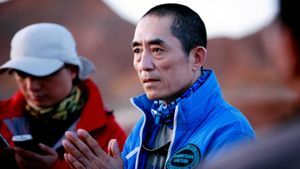 "I’m not sure if there’s room in the new Chinese film world, which like American cinemas is now dominated by big-budget special effects films, for another series of Gong-Zhang films. But they should forge ahead. They’ve recaptured the magic." 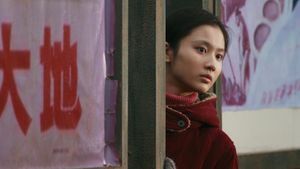 "Yimou’s lovely import is the kind of lump-in-your-throat drama they don’t make much anymore, at least in Hollywood. Watching Coming Home you’ll wonder why that is — and who we can write a letter to to fix it." 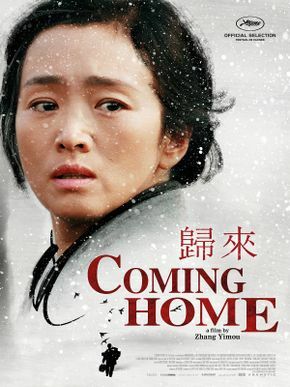 "Coming Home obviously has historical and political significance for Chinese who lived through the Cultural Revolution, and for families that were torn apart by it. 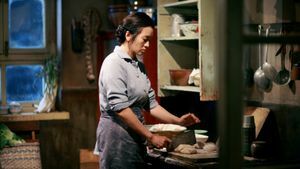 But Zhang tells this particular story in a deeply personal way — the time and place of its setting have a specific meaning, but its emotional contours spread out into something bigger." "Coming Home is a film in which everyone's dreams are irrevocably broken, the pieces too small to grasp, let alone pick up."